This summer I’ve been working with Holy Smoke Cork on a series of beer and food nights, events where we showcase the best of Cork food and beer, with an occasional tot of local whiskey for good measure. Holy Smoke specialises in low and slow barbecue, pit smoking the meat over different wood charcoals for between four and 16 hours. If you’ve ever been to the Big Grill Festival, you know what I mean! Lots of gorgeous, rich, smoky, full-bodied flavours in a relaxed, casual setting. 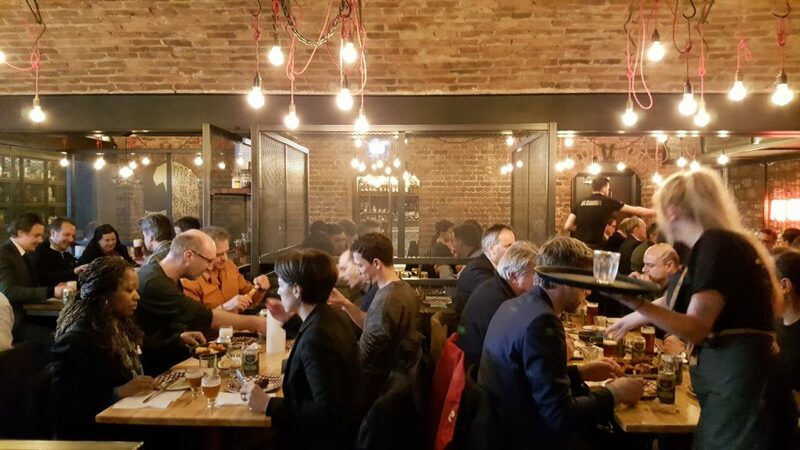 It’s a six course menu, each dish paired with a carefully chosen beverage and I talk you through the whole event, throwing in some information on the breweries, the beers, how to taste beer and why you should pair it with food. 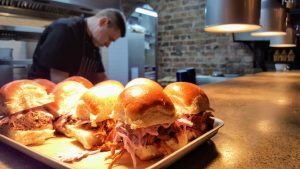 Pitmasters John Relihan (former head chef at Jamie Oliver’s Barbecoa in London) and Decky Walsh from Holy Smoke walk us through the food and last time round we had Ger Garland from Irish Distillers pairing the second course with Jameson Black Barrel. OK, I do know that the White Hag is a Sligo brewery but we had it on tap to play with and it was too good a pairing to pass up! Our next Taste of Cork event is taking place on Tuesday 29 August and tickets are available here. Newsflash: Marigold Swiss Vegetable Bouillon Powder available in NZ!